RAND(Squawk): Do Telecom companies keep a shadow phone bill ? Do Telecom companies keep a shadow phone bill ? Here is an idea that deepens the feeling of all pervading surveillance. Each quarter the telecoms companies sends or just charges you for the outbound calls made to other numbers. You will also get a bill of the calls made to your mobile phone if the phone has roamed to another area. If you have itemized billing enabled or a web account you can even see the list of calls made, time, date and the cost associated. That's all very well and those web accounts are useful for those doing surveillance, just one master password is needed for all the phone accounts at a single company. To complete the picture for the watchers that password will enable the shadow phone bill that you never see. On that shadow bill are all the times, date and phone numbers of the inbound calls made to the target number. The next step is to pull the complete phone bills of those inbound and outbound numbers and so on three or fours steps out. 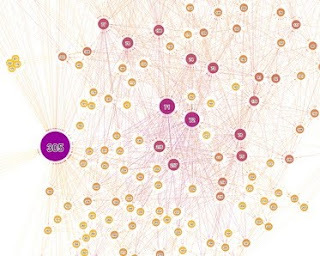 Once consolidated a complete picture of who is talking to who around the target number is generated. Lets not get too uneasy but remember ... "The telecoms companies keep shadow phone bills and know who is calling you." PS: Like all the best rumors this has yet to be proved. It's not you in control. That's a Placebo button.